ZE500KG, the Zenfone 2 Laser without LTE, just got its 6.0 update. 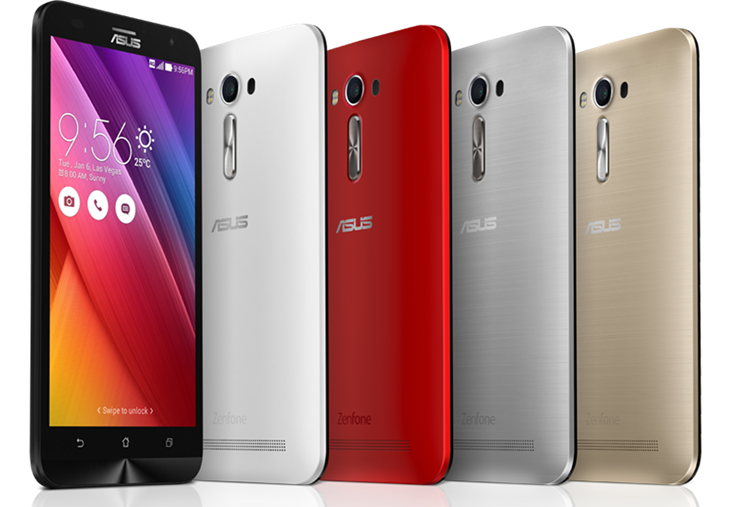 [ZenFone 2 Laser]  ZE500KG_ WW_13.10.10.25_M3.6.45 【Version】 13.10.10.25_M3.6.45 【Model Name】 ZenFone Laser (ZE500KG) 【Release Date】 2016/06/15 【Release Note】 1.Software update to Android 6.0 Mashmallow. The ZenFone 2 was one of the best budget phones to launch last summer, and the Laser variant (named after a laser auto-focus module) was a good follow-up. Now the latter (ZE500KL model) is getting its Android 6.0 update, WW_13.10.6.16_M3.6.44. That's a big deal. Cheaper handsets weren't this good a few years back, and they generally didn't receive much support. Times have changed. But what some owners may consider a bigger deal is the sheer amount of bloatware that won't come pre-loaded following the update. Over twenty apps make the list. That's not to say owners are completely out of the woods. This over-the-air update does add Google Calendar, Google Messenger, and Dr. Booster. One of these is not like the others. Asus suggests that you move all apps to internal storage before updating, as Marshmallow won't support APP2SD. See the link below for more details. And if you own a different ZenFone device, your turn may be coming up. You can download the full 1.42GB ZE500KL (Z00E/Z00ED/Z00EDA/Z00EDB: V13.10.7.1 for WW SKU only) update here. The 5.5" version of the Zenfone 2 Laser (ZE550KL) has just also received the Marshmallow update, almost a month after the ZE500KL. ZE500KG, the Zenfone 2 Laser without LTE, just got its 6.0 update. 1.Software update to Android 6.0 Mashmallow. Internal storage will decrease slightly after update, suggest to back up data and relocate media file (pictures & video clip) to SD card to reserve enough storage before starting the software update. 2.Android Marshmallow won't support APP2SD. Please move apps to internal storage before system upgrades. 3.Multi-user function won't be supported if the account is deleted. Please keep your account to continue usage. 6.Remove Asus Email, Asus Calendar, Asus Messaging won't preload in this software version. You can use Gmail, Google Calendar, Google Messenger for relevant services. The hits just keep on coming: the 5.5" ZE551KL model, plus both the 6-inch versions, the ZR600KL and ZE601KL, have been updated as well. 3.Multi-user and SnapView will not be supported. If you wish to continue to use multi-user, please keep using current account. 5.Remove Asus Email, Asus Calendar, Asus Messaging, ASUS Browser, and ASUS Music after Factory Reset. You could use Gmail, Google Calendar, Google Messenger, Chrome and Google Play Music for relevant services. 9. "The apps listed below will no longer be pre-loaded once your device has been upgraded to Android 6.0 (Marshmallow).Thanks for your support. (15)ZenFlash (Can be downloaded from Google play)"
11.APP2SD won’t be supported in Android 6.0 (Marshmallow). 12.Please move apps to the internal storage before system upgrade.